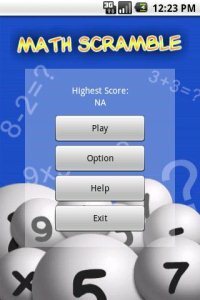 Math Scramble is a scramble-like math game. You need to choose an equation from given number balls to match the target answer. A longer equation gives higher score and bonus time. Enjoy it.